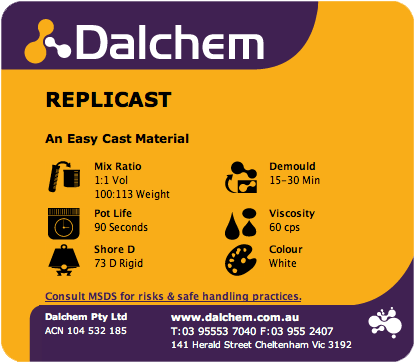 Replicast is a two component rigid urethane casting compound. 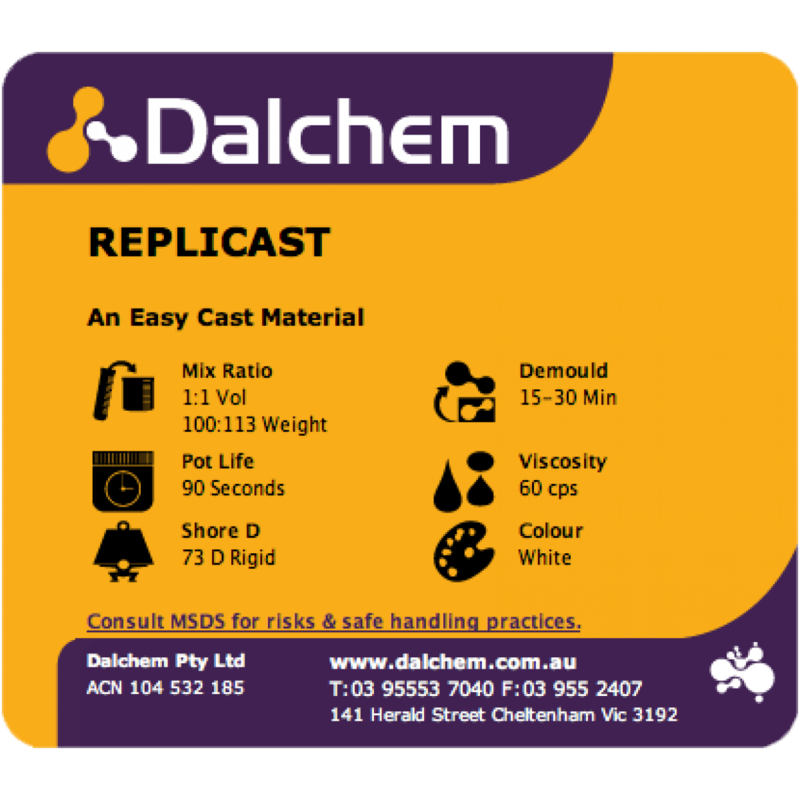 Replicast is compatible with a wide range of fillers and can reproduce intricate detail as a result of its low viscosity. The Urethane produces a clean white finish on curing, making it suitable for pigmenting in lighter or pastel shades. 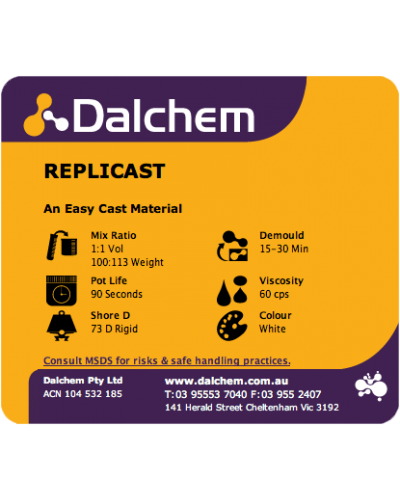 Replicast is a unique two-component rigid urethane casting compound.